Information session for interested PhD candidates, postdocs, and faculty. Co-hosted by Ashesi University and MIT-Africa. Founded in 2002, Ashesi University is one of Africa’s most respected and innovative undergraduate universities, known for producing graduates of outstanding initiative and skill. Join Ashesi Faculty in Engineering Heather Beem to learn about Ashesi and our Archer-Cornfield Fellowship, which provides an opportunity to combine research and teaching during a fully funded year-long residency at our modern, beautiful campus in Ghana. Selected Fellows will work alongside Ashesi’s dedicated faculty team to guide and inspire Africa’s next generation of innovators. We are seeking recent masters and doctoral graduates in electronic and electrical, mechanical, and computer engineering, and computer science (including information systems), as well as emeritus professors and faculty on sabbatical. Applicants should have an affinity for Ashesi’s instructional model, which combines seminars, labs, and hands-on projects that address complex, real-world problems. Ashesi's vision is an African renaissance driven by a new generation of ethical, innovative leaders. If you are interested in contributing to this vision, we want to meet you! Dr. Heather Beem is Faculty in Engineering at Ashesi University. She completed her PhD in Mechanical Engineering at MIT in 2015. 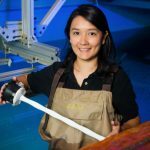 Her research spans biomimetics, fluid mechanics, instrumentation, and indigenous innovation. As a social entrepreneur, she also builds systems to scale hands-on STEM education in West Africa. To confirm your attendance, email us through the RSVP button or call us at 206.545.6988. Recently, Google opened its first Africa Artificial Intelligence (AI) Research Center in Accra, Ghana. Mere miles from this Center is Ashesi University, a liberal arts institution preparing engineering, computer science, and business leaders for the future. Join us at Googleplex for a conversation between Google’s Head of AI and Ashesi University’s Founder and President to explore how AI is changing the future of work and how universities can prepare students to embrace the opportunities provided. Refreshments will be provided along with time for conversation and questions before and after the talk. 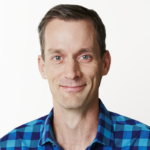 Jeffrey is a Google Senior Fellow in the Research Group, where he leads the Google Brain project. In 2009, he was elected to the National Academy of Engineering, and was named a Fellow of the Association for Computing Machinery (ACM) and a Fellow of the American Association for the Advancement of Sciences (AAAS). 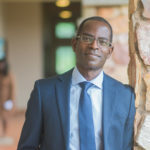 Patrick is the Founder and President of Ashesi University in Ghana. Ashesi aims to contribute to a renaissance in Africa by educating entrepreneurial, ethical leaders. In recognition of this work, Patrick has been awarded the MacArthur Fellowship and the 2017 WISE Prize for Education. To confirm your attendance, email us through the RSVP button or call us at 206.545.6988. Please note that guests must RSVP by May 8th. President Patrick Awuah will provide the keynote address for his alma mater. Patrick earned his MBA at Haas in 1999 after conducting a feasibility study for Ashesi University. The Summit seeks to advance critical global discussions into actions. Attendees include decision-makers and opinion-formers in the public, private, and nonprofit sectors, as well as the next generation of partnership-builders. Foundation staff will participate in this collaborative summit focused on solutions to global poverty and injustice. Take a look at our past US events here.